A unique experience thanks to the love for quality and the constant search for finest products that will make your event, dinner or simple meeting with friends unforgettable. A gastronomic journey that will lead you to the discovery of new flavors, without ever losing sight of the origins, traditions and flavors of the traditional Italian cuisine. Spend a fun evening in company of a professionist who will entertain you with food, customized menus for clients who want to celebrate their favorite moments away from chaotic restaurant halls. 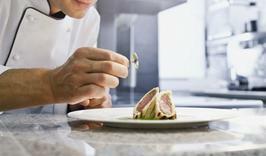 The personal Chef service also provides on the organization of banquets and receptions, brunches and dinners for every type of event, in private villas. The service is also available for business events, proposing solutions that suit every taste and need.